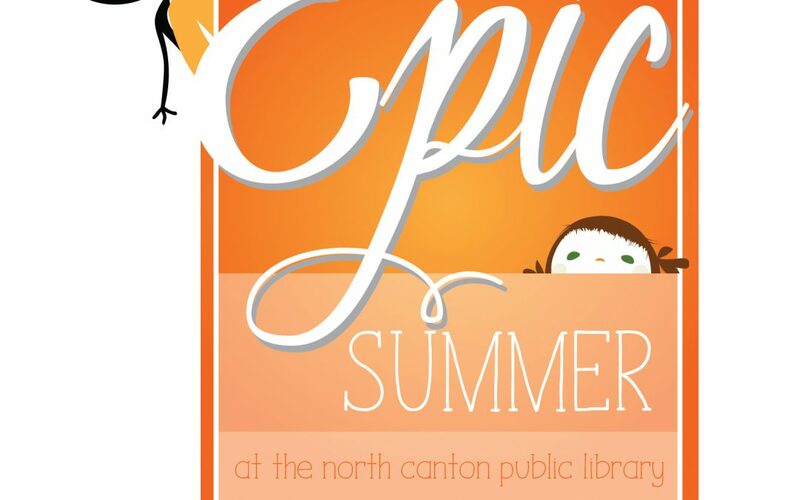 NORTH CANTON, Ohio, May 10, 2018 – Epic perfectly describes the North Canton Public Library’s upcoming summer of programming, events, prizes and reading clubs. An Epic Summer Kick-off Party is scheduled for Saturday, June 2 from 11 a.m. to 2 p.m. at the library. Party attendees will enjoy free Milk and Honey ice cream, a visit from the Akron Zoomobile, information about the library’s summer activities and epic give-a-ways for those who sign up for summer reading clubs, which begin June 2. Everyone is invited. Epic Summer activities offered by the library extend far beyond reading clubs. With a tagline of “explore the world,” the library is dedicated to offering a variety of activities for the community. Thanks to the generous support of Home Savings Bank, and a family fun zone provided by local churches: First Friends, MissionView, New Pointe and The Summit, Family Film Fridays will return to Witwer Park (adjacent to the North Canton Middle School) the second Friday in June (Ferdinand), July (Coco) and August (Paddington 2) at 7 p.m. “It’s really important to us that every attendee has the same experience, and with the help of our partners, every element of the film events is free. There will be free popcorn, cotton candy, hot dogs, games, inflatables and the movie,” explained Christina Weyrick, community relations manager for the library. Live at the Library, featuring live music and food trucks the first Thursday of June, July and August, is new at the library for 2018. With the cooperation of the City of North Canton, the library will host live music concerts on its patio, and a food truck in front of city hall. “Recent updates to city hall, which is our neighboring building, have allowed us to plan this series beyond the library patio, and we are really excited about that,” said Weyrick. A partnership with North Canton’s newest ice cream shop, Pav’s, will allow all attendees of Live at the Library to leave with a coupon for free ice cream from Pav’s. The series kicks off June 7 at 6 p.m. with music from zydeco inspired band, Mo’ Mojo, and authentic creole and Cajun cuisine from the Zydeco Bistro food truck. In July, the library will host indie rock band, The Scenic Route, and Erin Nicole Neal and the Chill Factors with special guest Sam Hooper, will bring a blues inspired, soulful sound to the patio in August. An Epic Reading Record, which allows children to track their reading throughout the summer, will be available at the children’s desk on the second floor of the library, beginning June 2. Children receive an NCPL tote when they register. Upon completion of their Reading Record, participants receive a plush toy and a free meal a Chipotle. The first 300 children to register will also receive a free ticket to the Akron Zoo, and the first 200 to finish will receive an Epic Reader yard sign. Teens and those heading to middle school next school year, can join the Epic Summer reading fun with simple ways to win epic gift cards and other prizes while attending some great programs and reading books over summer break! Two lucky winners will receive a set of Bluetooth headphones and speakers. Summer reading clubs aren’t just for kids! Adults can register for their own summer reading club to stay informed about library events and win epic prizes just for reading books and attending programs. The first 200 to register for the club will receive an NCPL lunch tote and other goodies. For additional information, please contact community relations manager, Christina Weyrick at 330.499.4712 x331 or cweyrick@northcantonlibrary.org.